The ROH Board of Directors have been working overtime signing bouts for the Pay Per View extravaganza. “Pro Wrestling’s Last Real Man” has been one of Ring of Honor’s most successful stars in 2017, making good on a promise to make a statement with wins over stars like Bobby Fish and KUSHIDA. But at Best in the World, one star he has defeated, a man that has become known as The Franchise of ROH, looks for revenge! Jay Lethal is one of the most-accomplished stars in ROH history. For over two years, Lethal held either or both the ROH World and/or World Television Championships, setting the record for the longest TV title reign with the most defenses in ROH history with a year-plus reign as World Champion. It was Lethal’s successes that made him the perfect target for Young. Their issues started professionally enough. 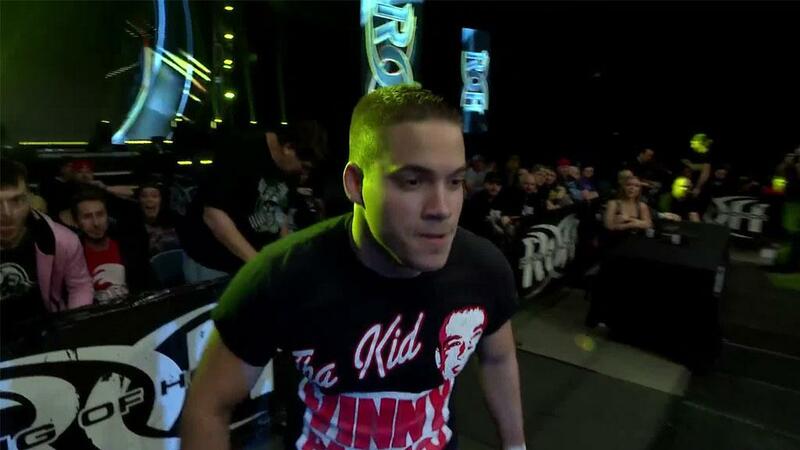 In Milwaukee, at ROH Unauthorized, Young defeated Lethal in the center of the ring following Misery. But as we have seen with Young in 2017, winning often isn’t always enough. Young would attack Lethal’s knee while Lethal prepared for a commercial shoot prior to a ROH event. Young would then call out Lethal on ROH television, sending Beer City Bruiser to fight Lethal before doing more damage when he himself attacked Lethal. To Lethal’s credit, he is not upset but is amused by what can only be assumed as Young’s admiration of Lethal. After all, if Young is looking to make a statement, there is no better person to try to defeat and then humiliate than one of the greatest champions in ROH history. But you can bet the roundabout flattery will not prevent Lethal from looking to destroy Young for not only defeating him in what was a great wrestling match but also for the attack on the knee he injured in 2016 as well as the sneak attack in Philadelphia. This rematch will not only go a long way in settling the score but it will also help establish the pecking order among the top contenders for the ROH World Championship. Young is riding high with big wins against Lethal, Bobby Fish, and KUSHIDA and a second win over Lethal would make him unavoidable in the ROH Board of Directors discussion as to championship contenders while a win for Lethal would get revenge but also a similar level of boost as he looks to work his way to a second ROH World Championship! It is Lethal vs. Young and it is at Best in the World!